In the final leg of our article series on overcoming common restaurant challenges, we’re going to be looking at the struggle of implementing proper management. While menu writing and funding are major hurdles to new restaurateurs, competent and experienced management helps the restaurant to run like a well-oiled machine. 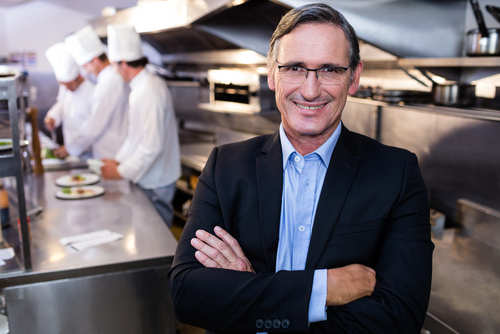 In addition to protecting your clients with a comprehensive Restaurant Insurance Program, share the following advice with them for hiring quality managers. In restaurants, where no two days are exactly the same, managers need to be models of stability. Internally, consistent communication and expectation-setting encourages staff loyalty and retention. Externally, it’s the manager’s job to ensure reliable service and quality for customers, explains Grubhub. If your client’s managers aren’t passionate about what they do, it’s going to reflect in the service they provide and the work ethic they demonstrate to their employees. Ensure your clients find a positive, enthusiastic manager for the position. Running a restaurant takes a physical toll on a manager, so physical stamina and health are important. Ideally, managers will be able to keep up with the physical demands of the job such as working long hours on their feet, bussing tables, lifting heavy items, and more. Rather than just solving issues as they come, restaurant managers should be proactive about preventing issues from occurring in the first place. A proactive manager can protect your client’s bottom line, stay on top of marketing trends, determine hiring needs, plan for the future, and more. Managers are all but required to be customer service-savvy. From dealing with customer complaints to seating large groups during the dinner rush, your managers should understand how to navigate these scenarios smoothly and keep customers coming back for more. At RMS Hospitality Group, we strive to provide the proper protections for your clients and their restaurants. From liquor liability to property protection, our specialized coverages can be custom-tailored for their unique needs. For more information, contact us today at (516) 742-8585.